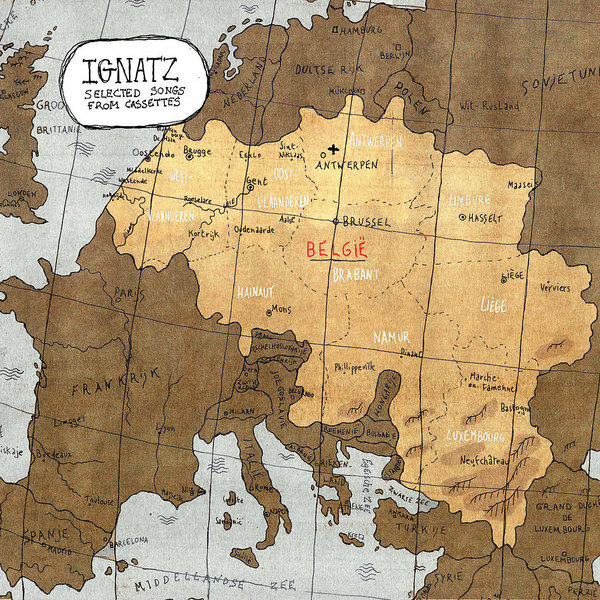 (K-RAA-K)3 have done us all a bit of a favour and rounded up eight hard-to-find idiosyncracies from Ignatz. If you're after Bram Devens' laser disc hits, you should really look at the title, because these tracks are all taken from very small runs of cassettes released on labels such as Goaty Tapes, Bennifer Editions, Dreamtime Taped Sounds and New Age Tapes, and contain some of his most personal, intimate recordings, and songs like the Lou Reed-esque 'Troubles Need' from his previously unreleased Ignatz III demo. Totally captivating stuff, a must for fans of drowning blues balladeers and edgy Belgian psyche-folk.